Summer is here, and it’s time to put your Skovish pool to good use. You’ve probably checked the chemical levels already. We’re hopeful you’ve also headed to our stores in Luzerne and Shickshinny with any questions or for supplies. You’ve run the pump, changed the filters and checked for leaks. Chances are good you’ve added some water in preparation for the coming swarm of people seeking to escape the summer heat. For most of us, there’s one appropriate level–full–and that’s what we maintain throughout the season. 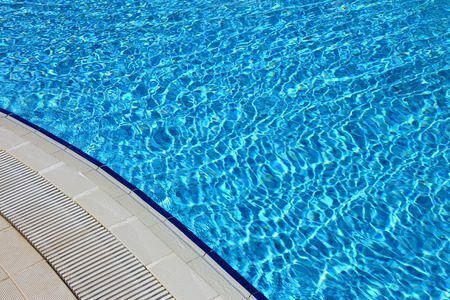 In reality, though, your water level affects your pool equipment, water loss and chemical levels. Use your pool’s skimmer as a guideline. If your water is too full and covering the skimmer opening, debris floating on the surface will pass right by. But if the level falls below the opening, you stand the chance of drawing too much air into the system and possibly burning up your pump. What’s the happy medium? Somewhere between one-third and halfway up the opening. 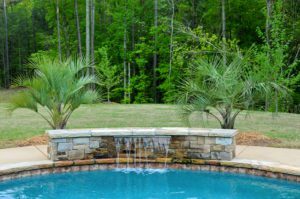 Once you make that adjustment, you won’t need to refill the pool as often. That’s because the factors that lower water levels, such as evaporation because of wind blowing across the surface and water splashed out of the pool, disappear when you keep it a couple inches lower than usual. Keeping the pool covered when it isn’t in use to cut back on water evaporation and the amount of chemicals needed to maintain the right balance. Play particular attention to water levels after a big rainstorm, during a heat streak and after you’ve vacuumed the pool. All affect water levels and will probably call for action. 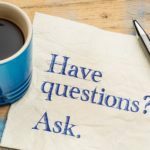 If you have any questions or concerns about water levels or other pool-related issues, we’re always just a phone call away. 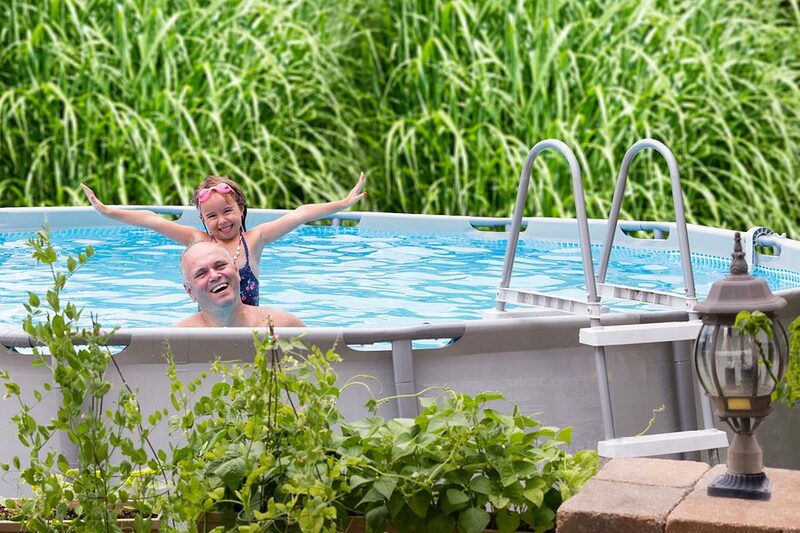 It’s been a long winter, and nothing sounds better than a quick dip in your Skovish pool. You’ve balanced the pH, rinsed the laundry detergent out of your swimming suits and brought out the beach towels. It’s party time at the pool. We know the feeling. That’s why we love what we do at Skovish Pools. 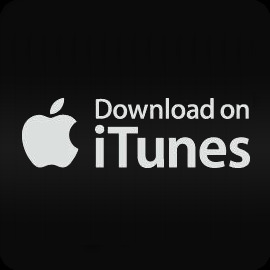 We bring the experience home to you. It’s also why we’re diligent about catching any problems with your pool or equipment while they are still manageable. Chemical treatments, mechanical adjustments or simple patches can all be useful. 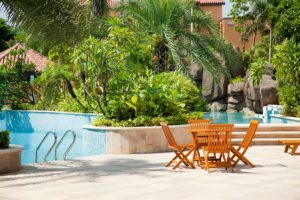 If you notice a sudden drop in the water level, more than you can explain by evaporation or an especially vigorous pool party, start looking for leaks. If you’re losing more than 1 in. a day, it’s time to call in the pros. Catching the problem early can save you time and money. A sudden change in the color of your water indicates possible problems with your pump or filter. If the water is a murky green, you might have an algae problem. Start by cleaning your pool equipment’s filters and baskets. Follow up with a shock treatment if chemical levels indicate an imbalance. Throw in an algaecide, especially this time of the year. Always feel free to ask for advice when you pick up your pool chemicals at our Luzerne and Shickshinny stores. Your pool is foaming, and your hair is turning green. Sounds like you’re using too much of a good thing, particularly algaecide. Scale back on the copper sulfate, and the problem should disappear. Always remember, help is only a phone call away. 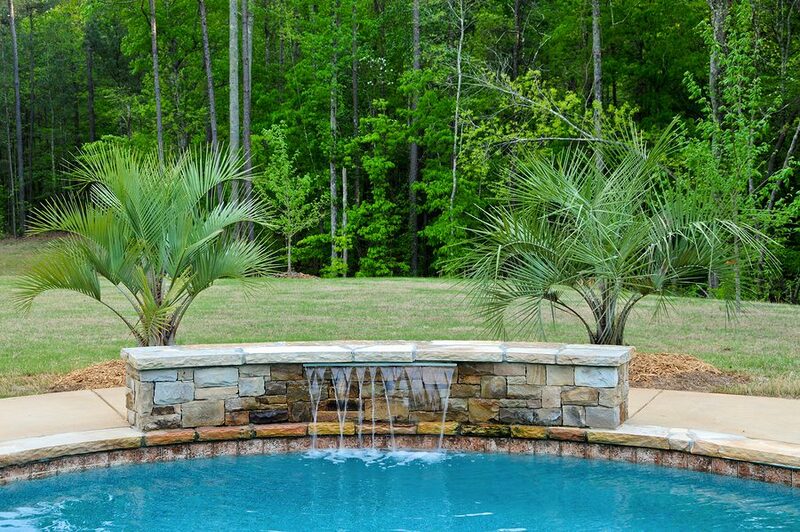 At Skovish Pools, we don’t disappear when the installation is done. 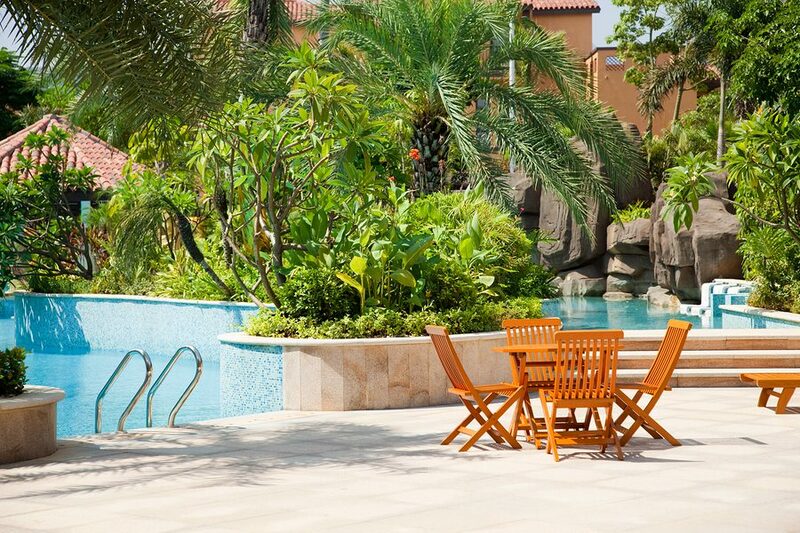 We’re there for you for the life of your pool. If you’re considering installing a pool in your home, it can be an incredibly exciting time. It can also be somewhat stressful, especially if you’re in the very early stages of doing so. 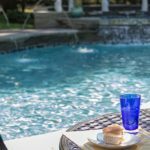 But whether you’re looking for an above ground pool or one of the in-ground pools Shickshinny homes can be transformed by, there are a few basic things that you can keep in mind which will help you tremendously with the process.